We are Working in the "Trenches" for our Special Needs Community. 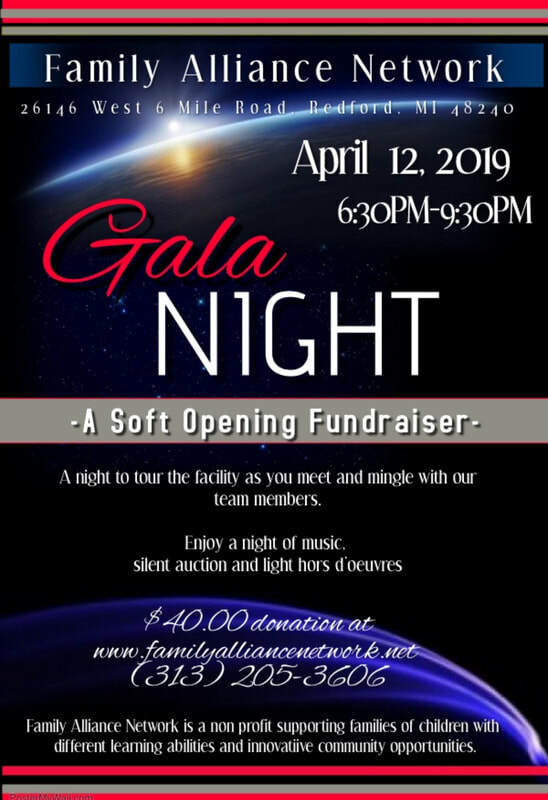 Family Alliance Network presents a Gala Night Fundraiser to tour our new facility to learn how FAN is meeting the needs of our special needs community. Our Gala Night Fundraiser Event is a night to tour our new facility as your meet N mingle to enjoy music by members of our special needs community. Have some hors d'oeuvres, stroll our tables of silent auction items from some of our community partners: Glenhurst Golf Course, Matick Chevrolet, Great Lakes Segway, Cinnamon Nuts and More, and WomanCFO. ​and social skills programs and events. ​ You will shop with our team in our Resale Boutique and Sweets N Treats area where learning is always hands on to make real life connections. A night to tour our new facility as you Meet N' Mingle. Enjoy music by members of our community, lite hors d'oeuvres and a host of silent auction items from our community partners. ​ Space is limited and tickets for the events are require. ​We support social and job skills and we are in the "trenches" to make things happen. ​"TIME TO VENT & GET REAL" parent meeting A time to connect with other parents in the special needs community.